We made this booklet for the celebrant to use in the Lady Chapel after Benediction of the Blessed Sacrament on Sunday, and now make it available to share with other priests who might find it helpful. 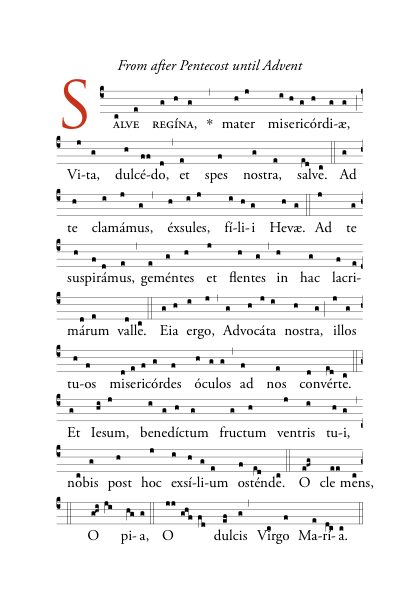 It contains the Prayer for England and the four seasonal antiphons to Our Lady with versicles, responses and collects fully notated for singing. It is available to buy from Lulu.